Quaternary Amine (Benzyl Quat) Analysis Cartridge | OndaVia, Inc. The OndaVia Quaternary Amine Analysis Cartridge is designed to measure benzyl alkyl ammonium ("quat") species in various water sources. Quats are widely used sanitizers in food, beverage, and healthcare applications. Their presence and effectiveness can disrupt waste water treatment systems by killing beneficial microorganisms. 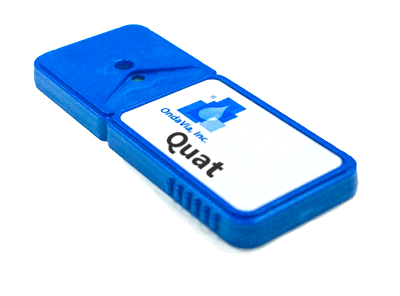 Our kit is designed to measure low-ppm-levels of quats for monitoring waste water and protecting water treatment systems. For dialkyl quats (bisquats), we have an alternative test kit. Other detection ranges are available, including lower detection limits. Please contact us for more information.